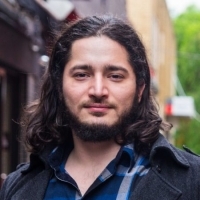 Emre Deniz is a multi-award winning game and technology developer based in New Zealand, responsible for founding Opaque Space and the Earthlight franchise, and working in a range of projects spanning defense, games to astronautical training. In the past 5+ years, Emre has been involved as an artist and game designer in various VR/AR productions with clients and collaborators ranging from NASA, Boeing, United States Air Force, HTC Vive, Epic Games, Microsoft, Google and the Australian Defence Force. After winning multiple industry awards in 2017 and 2018 for his Serious Games work, Emre oversaw the invention of the ‘Adaptive Intelligent Virtual Assessor’, which went onto secure commercial contracts for XR training in both the Australian Defense Force and the United States Air Force. In 2019, Emre joined Joshua Boggs, of Framed, as the Studio and Development Director of Studio Mayday, a New Zealand based studio focused on creating innovative storytelling and genre defining games.